We also accept same day reservations, so please feel free to contact us. ・Please consult with us regarding any other requests. 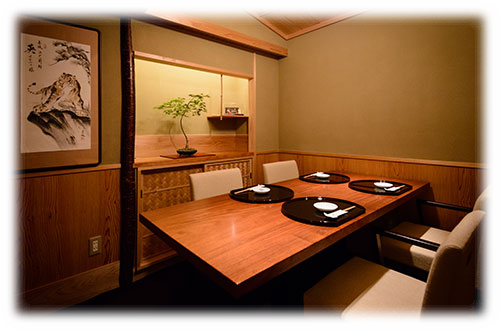 ・The private room can hold 4 – 6 people. Please contact us by phone for more details. 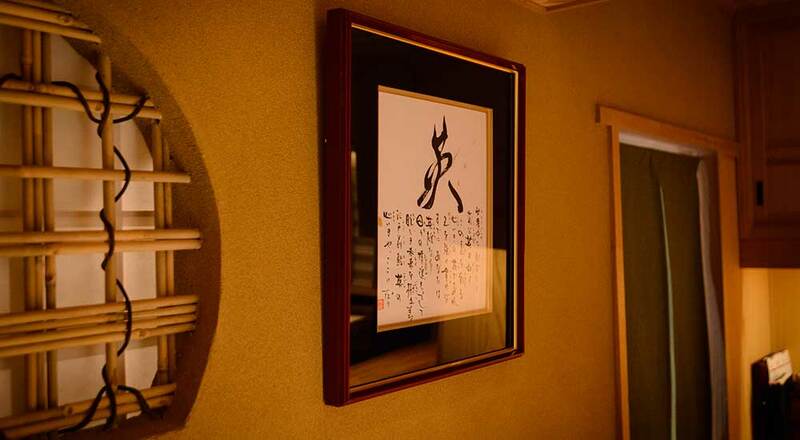 ・The only menu provided for the private room is the “Omakase Course” from 20,000 yen. ・Please let us know in advance if you have any food-related allergies. *Tax is not included in the above prices. ・We will be preparing your food in accordance with your reservation time, so please arrive at the time of your reservation. ・Please be aware the restaurant is completely non-smoking. ・We ask that you refrain from wearing strong perfumes or colognes during your visit. ・If you need to cancel a reservation, please do sothe day beforeyour scheduled reservation. ・Same daycancellations will result in 100% payment as a cancellation fee. Our counter, made from one plank of white wood has ten seats available. 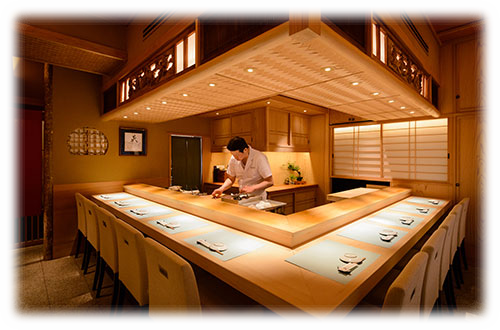 You will be able to enjoy your meal as your watch the chef working right before your eyes. We have one private room. It holds 4 – 6 people. It can be used for meals with family and friends or for another setting of your preference.